When news broke last July that a federal grand jury indicted an Oakland man on terrorism charges, the case had a familiar ring to it. The U.S. Justice Department tipped news media to the case and reporters scrambled to obtain freshly unsealed court records in which prosecutors described a startling, if unlikely, plot: 22-year-old Berkeley High School graduate Amer Alhaggagi was accused of conspiring to bomb gay bars in San Francisco and UC Berkeley's dorms, scheming to distribute strychnine-laced cocaine at nightclubs, and even planning to light fires in Tilden Regional Park. The alarming story saturated local media for a day. The unmistakable message was that the FBI had prevented deadly attacks. But then, like other Bay Area alleged terrorist plots, the story disappeared. So, too, did the defendant, locked away in Alameda County's Glenn Dyer Jail in downtown Oakland awaiting trial. Was an attack really averted? Or is there more to the story? Since Alhaggagi's indictment was unsealed five months ago, there's been no new information available. This is partly because his family and attorney are reticent to speak to the media (they declined interview requests from the Express). But it's also because the government obtained a gag order to keep secret information about the FBI's counterterrorism operations through the regional Joint Terrorism Task Force — a multi-agency effort that includes local police forces. Information relevant to "ongoing national security investigations and prosecutions" might fall into the hands of foreign powers or terrorists, warned prosecutors in a gag order issued in December 2016, one month after the FBI first arrested Alhaggagi and seven months before his case would become known to the public. If anyone involved in Alhaggagi's case divulges confidential materials, they could be criminally prosecuted. A side effect of this secrecy is that the public is only presented with the government's shocking allegations at the outset. 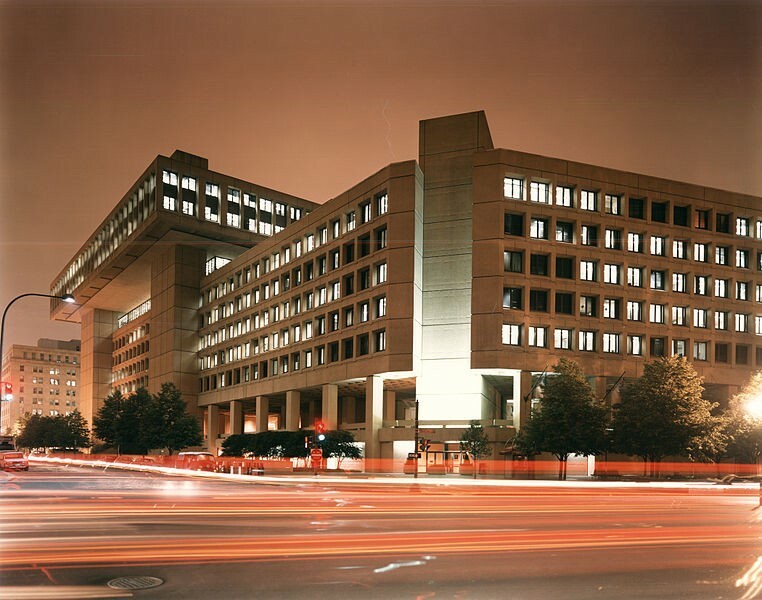 More complicated questions about the FBI's methods typically go unanswered. But what is known about Alhaggagi's case fits a pattern. His was one of five Bay Area terrorism prosecutions in the past five years, according to the Express' search of federal court records. Like the defendants in the other four cases, Alhaggagi had not committed a violent crime prior to his arrest. In fact, all of the Bay Area's accused terrorists have been charged only with attempted crimes — four with attempting to provide "material support" to a terrorist organization and one with attempted use of a weapon of mass destruction. Three suspects were heavily assisted by undercover FBI agents posing as terrorists. And all five of the Bay Area's terror suspects share something else in common: They're young and Muslim, and each of them had been struggling with mental health issues and family problems. This has led civil rights groups to question whether the FBI is unfairly entrapping Muslim youths, especially those experiencing depression or psychosis. "These cases are built around the fact that they're young, Muslim men," said Lara Kiswani, executive director of the Arab Resource and Organizing Center in San Francisco. "And they're literally getting charged and punished for something they've never done." "It's a tactic that's been aimed almost exclusively in recent years at the Muslim and South Asian communities," said John Crew, a retired ACLU attorney from the Bay Area who spent years researching the FBI's counterterrorism activities. "If you're a mouthy, troubled young Muslim, you're much more likely to be targeted, and you'll end up dealing with FBI JTTF agents in an entrapment scenario." The San Francisco Joint Terrorism Task Force is one of more than 100 such task forces in the country. It's led by counterterrorism agents in the FBI's San Francisco field office, but local police departments, including Oakland, Hayward, Fremont, and BART, participate in it. The JTTF's most recent bust was of a 26-year-old Modesto man who, after a divorce, lost custody of two children in a series of events that his father described to reporters as having "crushed him." He allegedly planned to attack San Francisco's Pier 39 on Christmas. The Bay Area's terrorism cases are also similar in that after the initial frenzy of media coverage, the cases disappear from sight. Defendants face tough laws, mounting legal bills, and even a lack of access to the warrants used to implicate them. Courts routinely side with prosecutors and withhold government materials and evidence, ruling that they're national security secrets. But JTTF agents say they can't afford to second-guess whether a person is simply joking or fantasizing about acts of violence they would otherwise never commit. "Where there is an expressed intent, there is not a choice for the government," said FBI Assistant Special Agent in Charge Craig Fair. That means using undercover agents, sophisticated ruses, local police resources, and powerful surveillance tools to keep close tabs on those who express support for using violent tactics against non-combatants to advance a political ideology. "We are a law enforcement agency," said Assistant Special Agent in Charge Marina Mayo, who directly oversees the FBI San Francisco Field Office's counterterrorism team. She said it's not her agents' role to provide mental health counseling. The goal is to prevent another 9/11 or San Bernardino. But in the process, is the FBI turning vulnerable young men grappling with mental health problems into a manufactured threat to justify the existence of a sweeping counterintelligence program — the Joint Terrorism Task Force — about which little is known? Or, is the bureau making clutch early interventions before a person can take the next steps to carry out an attack here or overseas?